Nothing I post here will be anything that hasn’t been posted already about Miss Nyong’o so for your perusal I have a lot of articles and issues to highlight that should be of interest especially since her popularity is still growing in light of her Oscar win for Patsey in 12 Years a Slave. How do you say her name? There are quite a few posts about this; there’s even a post on Crushable. No qualms about them discussing this but Crushable? Really? And there were two articles on Africa is a Country, in case one was not enough. Though they bring up a few different points both heavily focus on criticizing members of the media for ‘butchering her name.’ What could have been a productive conversation on how media still display the other, came down to – in one case – (How to say Lupita Nyong’o)a series of youtube clips of people announcing her name as a guest on a tv show or as the subject of an award envelope and another repeats the sentiment (What we don’t talk about when we spend time learning about Lupita Nyong’o’s family and getting her name right). Lupita Nyong’o’s story is one of an elegance carefully cultivated. This is no sudden ascendancy to delicate silks and bold brocades, no tale of a girl plucked from obscurity or hardship, conferred the brass ring of Tinseltown by princely powers that be. It is, instead, a story of privilege—a privilege enjoyed by so many white actresses, which makes it then also a story of justice. It is what happens when a Kenyan politician entrusts his daughter’s postsecondary education to the Yale School of Drama, rather than insisting she study medicine or law or finance. When such a daughter is daring enough to pursue a life in pictures, within a family of professors, physicians, and politicians, the Academy Award is what happens. This is not a reality well-known to American black girls with silver-screen ambitions. We watch our stateside actresses languish in Hollywood for decades, delivering pounds of flesh for bit parts: girlfriends in black films and girlfriends in white films and staid, put-upon wives in comedies, action films, biopics. And yes, even now, the occasional brave domestic, even now, the harrowingly tortured slave. We see them shed their apple-cheeked innocence all too quickly, becoming more vocal and more cynical about the dearth of complex and meaty work. I want to take this opportunity to talk about beauty. Black beauty. Dark beauty. I received a letter from a girl and I’d like to share just a small part of it with you: “Dear Lupita,” it reads, “I think you’re really lucky to be this Black but yet this successful in Hollywood overnight. I was just about to buy Dencia’s Whitenicious cream to lighten my skin when you appeared on the world map and saved me.” My heart bled a little when I read those words. I could never have guessed that my first job out of school would be so powerful in and of itself and that it would propel me to be such an image of hope in the same way that the women of The Color Purple were to me. Read the rest here. A description of what this is is posted below. Please check out their website here. There is so much information available about what they have been up to and the wonderful projects that are involved with this bid. The central theme behind the city’s successful bid, “Live Design. Transform Life”, focused on the role that design can play in social transformation in the city. It sets the tone and will now form the foundation for the development of an inspiring programme of World Design Capital-themed events and projects. Under the overarching theme of “Live Design. 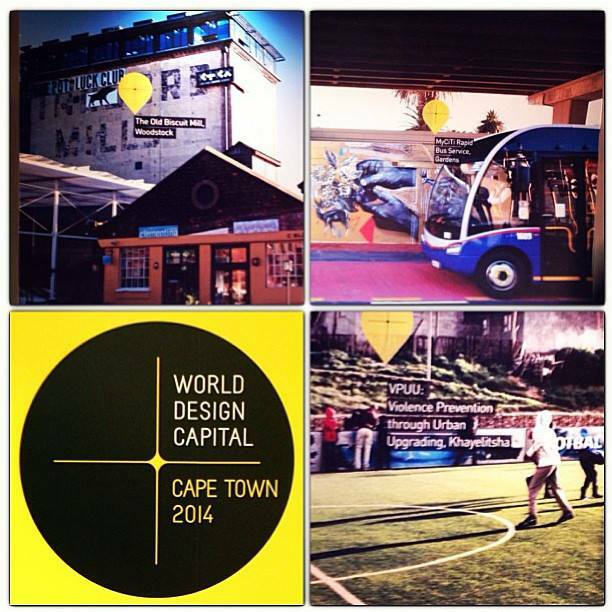 Transform Life”, four themes have been developed to bring clarity and simplicity to the process of submission and curation of proposals – and later, to help to allocate content and to attract potential sponsors to the various platforms and WDC 2014 Signature Events. The themes are also designed to ignite the imagination of the public, and to contribute towards a greater understanding of the multi-faceted nature of design. African ideas that speak to the world. Design that reconnects our city and reconciles our communities. Sustainable solutions for people and planet. Inspiring architecture, interiors, food, fashion, jewellery, craft, art and creativity. 4. Focus: Africans in the Promised land? Recently there has been increassed conversation regarding the influx of African refugees into Israel. There are many opinions on this topic and for this week’s FT5 I present three articles. 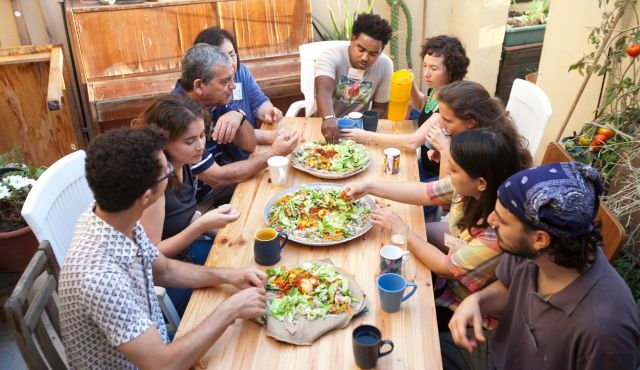 second: Written by Daniella Cheslow, “Cooking Workshops Offer Israeli Foodies a Taste of African Cuisine.” A look at the intersention of Africans, Israelis, food and South Tel Aviv. and third: “Who’s afraid of the African asylum seekers of South Tel Aviv?” by Simone Wilson, discussing fear and explaining the government’s plan to imprison those they can and kick out the rest. One of my personal favorite blogs is one called “Where They Create” and is a photoblog curated by Paul Barbera. He does a lot of traveling, runs into interesting people and photographs their workspace. 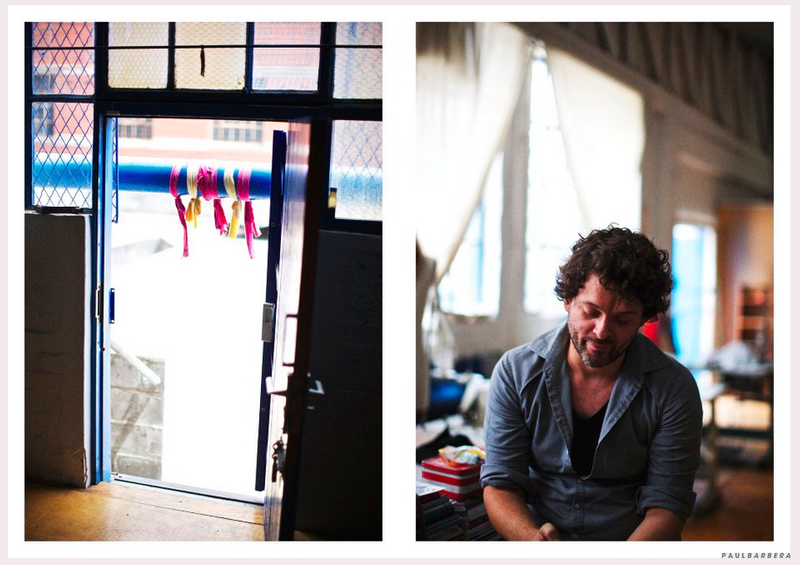 Here is a link to South African Stiaan Louw’s fashion workshop. If you would like more info you can click on the link in the title or follow Louw on Pintrest!